SUNNYVALE, Calif., Dec. 14, 2015 /PRNewswire/ -- Ruckus Wireless, Inc. (NYSE: RKUS) today announced a new partnership with Ingram Micro, Inc., the world's largest distributor of computer and technology products, to enable the distribution of Ruckus products and solutions across Southeast Asia through Ingram Micro's network of resellers and partners. The new partnership will enable enterprises, service providers, and small-to-medium-sized businesses (SMBs) to realize high performance, secure and intelligent enterprise-class mobility solutions in their organizations. 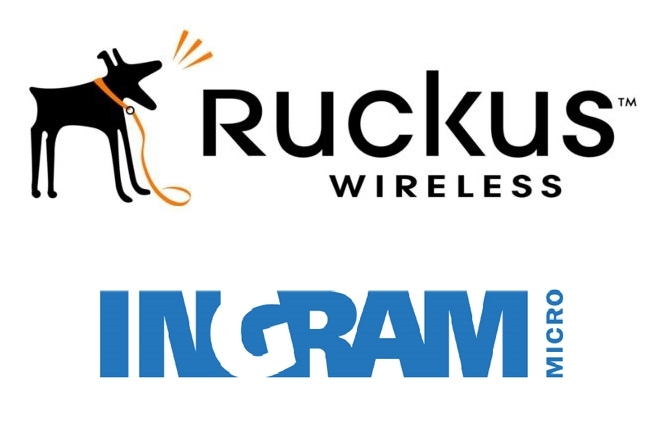 The partnership between Ruckus and Ingram Micro will involve the distribution of Ruckus products and solutions, including access points (APs), controller-less solutions, physical and virtual controllers, and smart wireless analytics and location based solutions inSoutheast Asia. In addition, Ruckus and Ingram Micro will jointly enable the development of Ruckus' partner community. Ingram Micro works with thousands of vendors, resellers and retail partners, customizing and delivering technology solutions to businesses of all sizes around the world. The company focuses on cloud, mobility, supply chain and technology solutions that enable businesses to operate more efficiently and successfully in the markets they serve. Commenting on the partnership, Michael Lok, managing director, Southeast Asia, Ruckus Wireless, said, "As a global IT distributor with a strong presence across the Asia Pacific region, we believe Ingram Micro is an ideal partner as Ruckus expands into the enterprise and SMB markets. Ingram Micro's extensive breadth of products and solutions, complemented by Smart Wi-Fi solutions from Ruckus, can help customers solve the challenges associated with realizing high performance campus mobility." Through this collaboration, customers in Southeast Asia now have greater access to Ruckus Smart Wi-Fi technology, which includes BeamFlex™+ adaptive antenna technology that adapts to client device orientation and location, helping to ensure consistent wireless signal, and ChannelFlyTM dynamic channel management technology that assesses all available channels prior to the selection process, significantly improving capacity in congested environments. The partnership also offers Southeast Asian customers a wider selection of mobility solutions specifically designed to meet their business needs. These include Ruckus ZoneFlexTM R710 access points, the industry's first to ship 802.11ac Wave 2 APs that allow enterprises and service providers to meet the ever-growing demand for wireless capacity and speed; Ruckus SmartZoneTM software platform, which provides unified software architecture across wireless LAN (WLAN) controllers, for appliance, virtualized and cloud environments; and Ruckus UnleashedTM access points, based on a controller-less architecture that simplifies and accelerates the deployment of wireless solutions for SMBs. Leveraging Ingram Micro's expertise in delivering cloud-based solutions, SMBs and enterprises will now be able to easily deploy Ruckus' cloud-based Wi-Fi applications, such as the SPoTTM location-based service and the SmartCellTM Insight analytics service. The collaboration comes at a time of exponential growth in enterprise mobility driven by the growth in smartphones and other devices possessing Wi-Fi capabilities. An IDC report highlights that companies across Asia Pacific (excluding Japan) have been increasing their investments in the area of mobility adoption, citing that more than 70 percent of its survey respondents have some mobility initiatives in place within their organizations. It is against this fast-moving backdrop that having access to secure and reliable Wi-Fi is increasingly crucial for driving productivity and fostering collaboration and communication amongst workers. "Ruckus Wireless' Wi-Fi portfolio is an enhancement to our mobile solutions offering to our SMB and enterprise customers. Embarking on this partnership therefore not only increases our product offerings but extends the commitment we made to our customers to bring them the best technology available in the market. We are excited to be affiliating ourselves with Ruckus Wireless and we look forward to a successful partnership," said Francis Choo, vice president, SEA & HK, Ingram Micro Asia Ltd. The collaboration between Ruckus and Ingram Micro covers Southeast Asian markets, which include Indonesia, Malaysia, the Philippines, Singapore, Thailand and Vietnam.